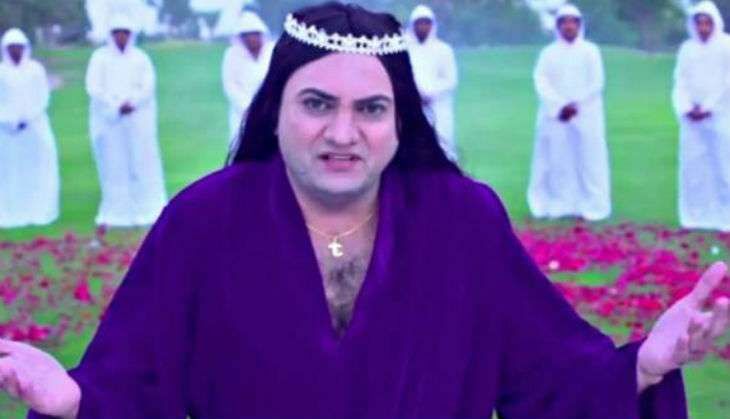 Home » Entertainment » Taher Shah has a Valentine's Day gift for his angelic fans !! Taher Shah has a Valentine's Day gift for his angelic fans !! Call it good news or bad, Taher Shah is coming up with a special gift for you! After taking the world on a stir with 'Eye to Eye' and 'Angel', Taher is back with a Valentine's Day 'gift' for his fans. The Pakistani singer, known for making unique and absurd music, recently announced on Twitter that he will release a song this Valentine's Season. "Valentine's Day gift of honor coming soon for worldwide angelic fans. Stay tuned," the tweet said. Shah shot to fame with his first song, 'Eye to Eye' that quickly became an internet sensation and attracted a lot of attention, followed by his second song, 'Angel' (2016) that (surprisingly) also won an award in the US. Later in December, Shah left Pakistan after receiving death threats from people not known to him.